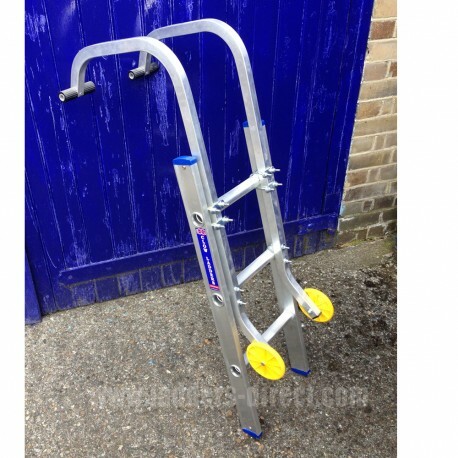 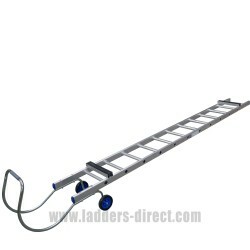 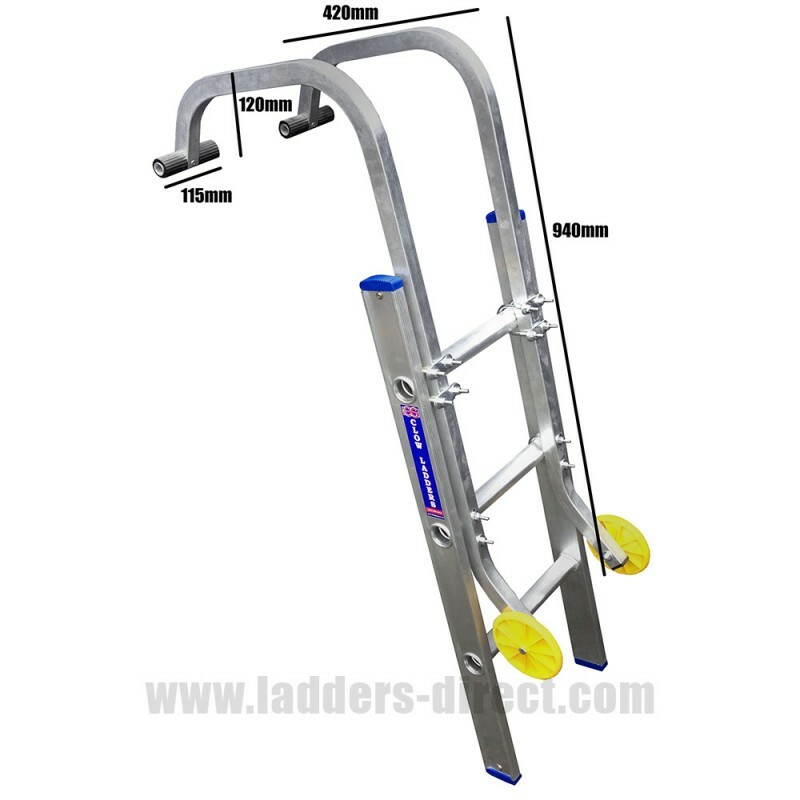 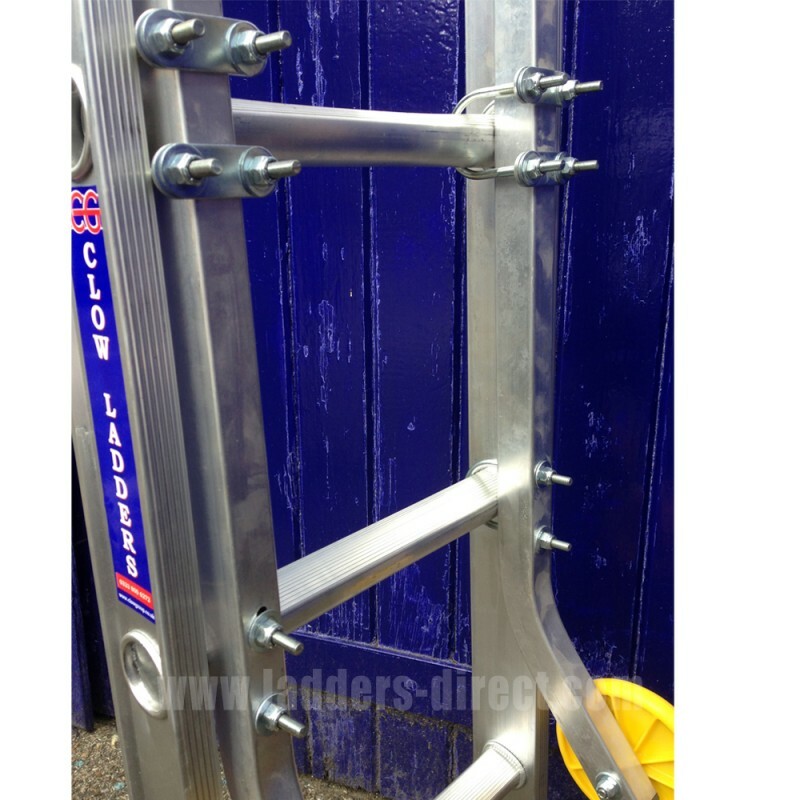 Fits to extension ladders for a safe and effective roof ladder. 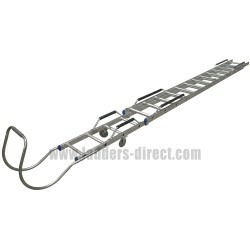 Fits to extension ladders for a safe and effective roof ladder. 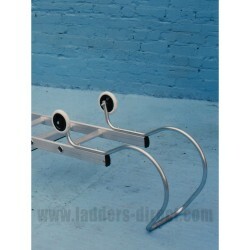 Plastic wheels are fitted to safely run the ladder across the roof; the roof hook can then be attached over the roof ridge.